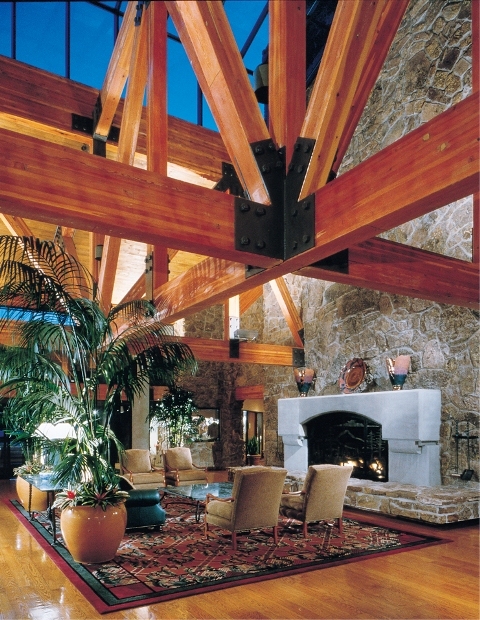 Cheyenne Mountain Resort | Outlet Shopping Scoop. Never Pay Retail Again. Enter-to-Win a Rendezvous for Two Weekend! Outlets at Castle Rock, Loveland, and Silverthorne are giving-away a 2-night rendezvous for two at Cheyenne Mountain Resort in Colorado Springs. Enter to win this fabulous getaway between now through Friday, January 28th. Winner will be selected on Sunday, January 30th. Winner will receive luxurious accommodations at this authentic destination in Colorado Springs. 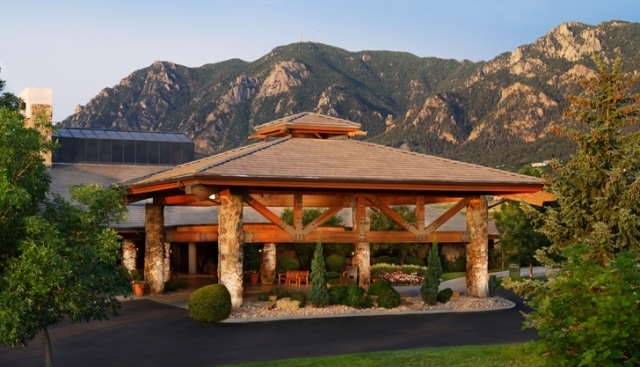 If you’ve not been to Cheyenne Mountain Resort then you’re in for a real treat. The resort is warm, inviting and the rooms are luxurious rooms. Each with a private balcony, a stunning view, and complete with plush cotton terry robes and sensual Gilchrist and Soames bath products. Delight your taste buds with a selection from our Colorado Fusion menu from the Mountain View Restaurant or dine on an elegant “chophouse” style menu in the Pineview Grille. While you’re in Colorado Springs make the most of it. Visit historic Manitou Springs, Old Colorado City, or Downtown Colorado Springs. Discover the mosaic of attractions in Colorado Springs from the US Olympic Training Center, Pikes Peak, Garden of the Gods and many more. 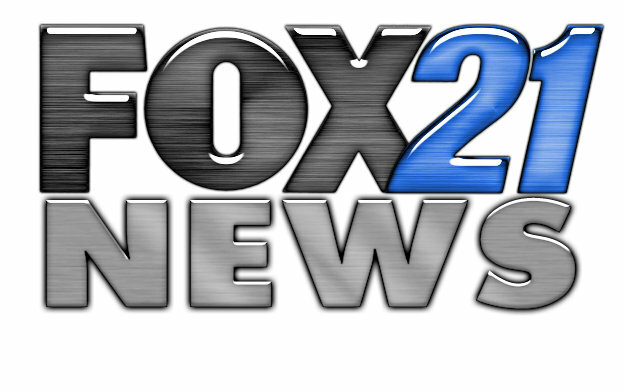 You may enter your name by clicking on you on your favorite Outlets of Colorado shopping destination logo (see below)! 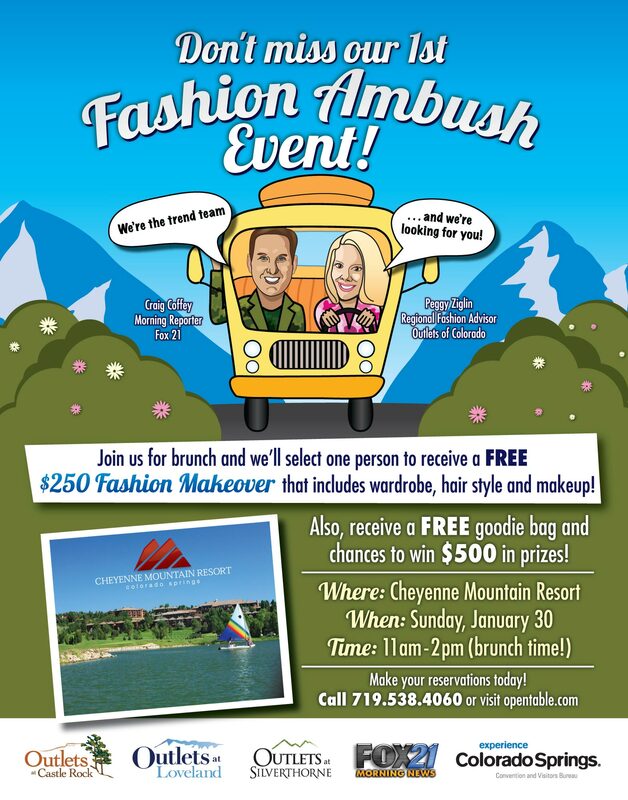 Winner will be announced on Sunday, January 30th during the Champagne Brunch at Cheyenne Mountain Resort. If you’d like to join us for brunch, click here to make your reservation. Cost is $37.50 per person. Join us for brunch on Sunday, January 30th. Click here to make your reservations.